Brought to life by a ground breaking, female-led creative team, this “warm, witty, wise and hilarious” (Express) hit features “one of the best scores in years” (The Stage) by 7-time Grammy® nominee Sara Bareilles (Love Song, Brave), a book by acclaimed screenwriter Jessie Nelson (I Am Sam) and direction by Tony Award® winner Diane Paulus (Pippin, Finding Neverland). Receiving standing ovations night after night, WAITRESS is “the real deal” (Independent) musical comedy “made from the finest ingredients” (Time Out). 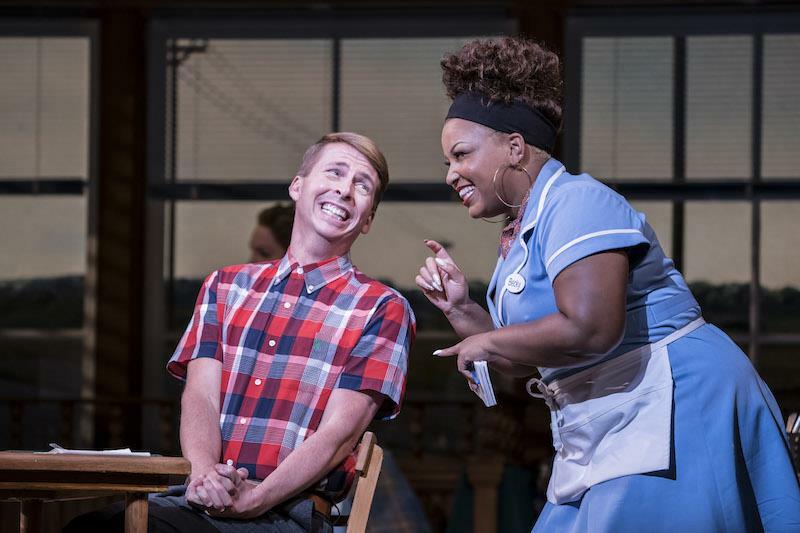 Book now at waitressthemusical.co.uk and get your tickets to this “joyously life-affirming celebration of love and friendship” (Express). Access description: The main entrance has a ramp and automatic doors. Box Office counter to the right inside the entrance. No steps to Stalls from foyer. 41 steps up to the Dress Circle; 79 to the Upper Circle. Most staircases are highlighted and have handrails on both sides. Theatre opens 45 minutes before the performance. Sound Amplification: Williams infra-red system with 10 headsets. Collect from Box Office. Guide Dogs: Guide dogs are allowed into the auditorium and Front of House staff are happy to dog-sit (maximum 2). Disabled Access: No steps to Stalls from foyer. 2 spaces for wheelchair users at the back - view slightly restricted. Transfer seating available to any stalls aisle seat. A maximum of 4 wheelchairs can be stored in the cloakroom. Provisions for 4 wheelchairs/scooter transferees per performance - please check when booking. Toilets: Level access to women's toilets in the main entrance foyer and to both men's and women's in the Stalls. Men's and women's toilets available in the Dress Circle foyer area. Access to toilets in the Upper Circle involves a number of steps. Disabled Toilets: Adapted toilet by the entrance to the Stalls.